In July 2018, Daikin Airconditioning UK Ltd launched two ground-breaking service packages that will guarantee the cost of R410A refrigerant. The packages are at a set fee until 31st March 2019, when purchased together with new VRV systems. The ‘Commission With Confidence’ packages aim to bring stability and confidence to the market, which has experienced turbulent price increases for refrigerant as a result of quota restrictions set by the 2015 European F-gas Regulation. 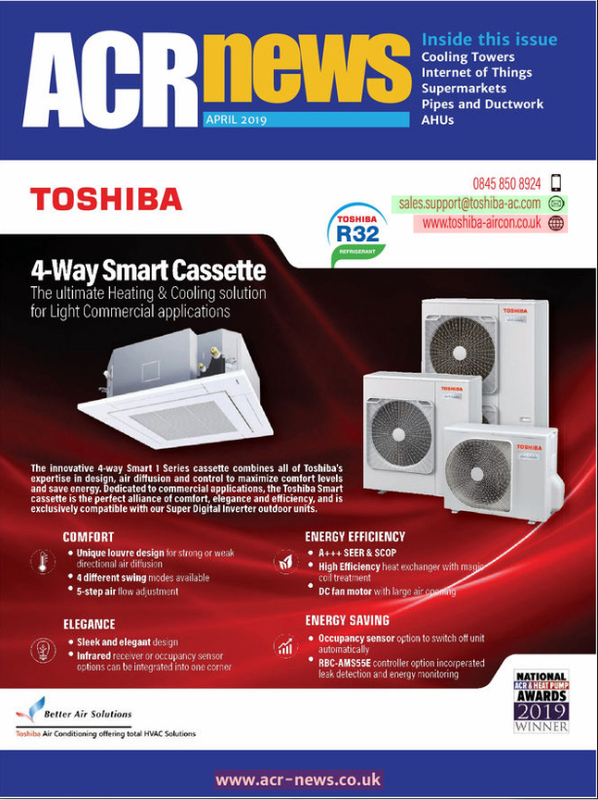 Daikin is the only air conditioning manufacturer in the industry that also produces refrigerant gas (via Daikin Chemicals) and so is able to guarantee the supply of R410A refrigerant trim charge as part of a commissioning package for a set fee, giving Daikin customers ultimate confidence from tender to installation of a VRV system. The Commission With Confidence packages are available to purchase now and current prices are guaranteed until 31st March 2019, including trim charge. Two packages are available. Premium package includes R410A trim charge, commissioning support and cloud services. There are three different price levels for each package, depending on the capacity of the system. For further press information, please contact Alicja Robertson or Giulia Kapp on 01932 879000, or email marketing@daikin.co.uk.